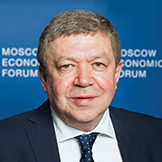 Moscow Economic Forum is an international expert platform for working out strategic decisions and anti-crisis programs aimed at the development of Russia's economic policy. At the forum the contradictions of the course of Russia's development dominant today are analysed, the potential of alternative development and opportunities for its implementation are evaluated. In 2013 the Forum was held for the first time. 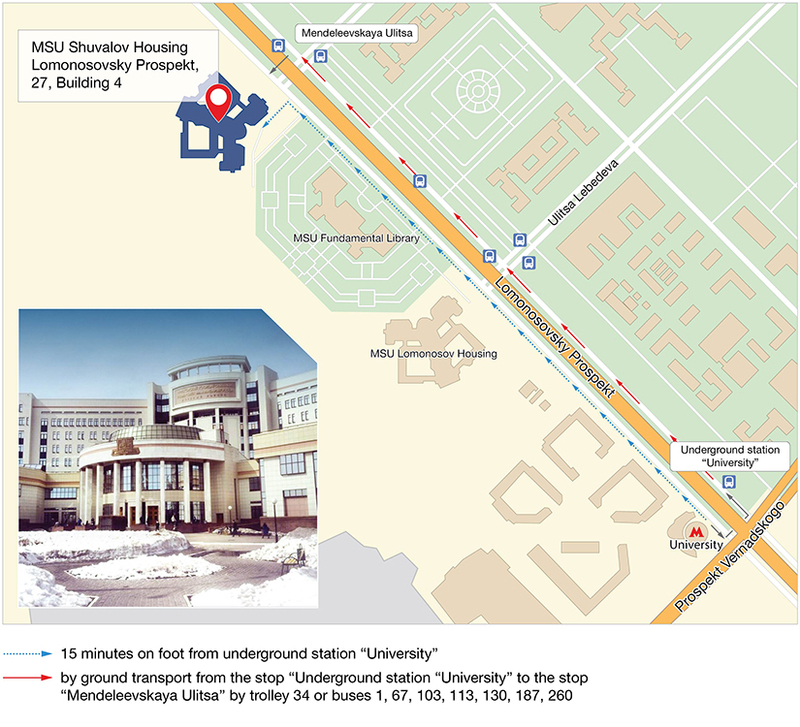 Venue — the Moscow State University — the oldest classic University in Russia. The Russian center of science and culture. with the assistance of Russian Academy of Sciences. “The subject of MEF-2018 – "Russia and the world: image of the future". The main objective of the forum - is formation of Russia's future image and search of answers to the following questions: "What goals do we set? ", "What are we striving for? ", "What role will Russia play in the world economy? ", "What will be imported and what will be exported? What will our children be engaged in? ", "What will our society be like, and what values ​​will become ideals?" 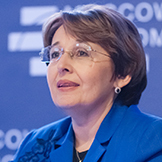 Special attention at a forum will be paid to participation of young leading scientists, students of economic Russian higher education institutions, businessmen and public figures. The agenda of a forum includes 4 plenary sessions and 20 thematic round tables devoted to: tendencies in world economy, geopolitical role of Russia, the strategy of economic development, influence of the existing valuable models on image of the future. Its 25 years since the beginning of market reforms in Russia. False guidance provoked a prolonged lag of Russia behind the world powers. We are keeping the wrong course and it is not planned to change. What do we have to do in order for Russia to become the world leader to year 2025? / How will it reflect on life of every citizen? / Is there an alternative to liberal policy in Russia? On this and many other we will speak on Moscow Economic Forum March 30–31, 2017. Main theme of the MEF 2016 was “25 years of market reforms in Russia and the world. What's next?”. Failure to understand the importance of the problems of creating economic subjects of the market economy, the wrong allocation of resources, the concept of shock therapy, because of which the bulk of the high-tech industries was lost, and gradualism led to expensive errors. The processes that occurred in our country in the recent past, allegedly in order to increase competition, have been tampered with destructive model, parasitizing on natural resources. The main result of MEF 2016: the Russian government needs the new course of economic policy. 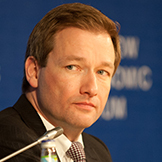 Nathan Hunt — Chairman of the Board, CERBA Moscow, Founder. Main theme of the MEF 2015 was “A new course. Time does not wait”. Neoliberalism has exhausted itself — the conclusion made by the Forum. However, it dominates the economic policy, culture and education. This is a hindrance to the further development of Russia, which has huge potential. Non-commodity production creates a demand for skilled creative staff, the conditions for the emergence and implementation of various innovations, the conditions for technological, social and demographic progress, and it creates a request to improve the human environment. 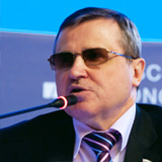 Valeriy Fadeev — editor in chief of the magazine “Expert” (1998), a member of the Public Chamber. The slogan of MEF-2014 is “For the development of production!” In the modern world, if the nation does create, it becomes sick deprives itself of the future. The development of national production makes science and education popular, increases the welfare of the population, improves the moral climate in society, sets new ambitious goals for the young generations, moves the economy forward, makes life and work in the country comfortable and the future — clear and promising. At the Forum the participants discussed how the economic policy should change so that the production becomes profitable in Russia. 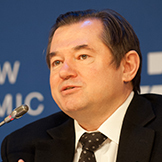 Sergey Glazyev — Advisor to the President of Russia, academician of the Russian Academy of Sciences. The first Forum was held under the slogan “against market fundamentalism — for sound economic policy”. The participants agreed that the current ultra-liberal policy in Russia has not justified itself. For the last 22 years in the country 20 000 industrial enterprises and 15 000 settlements disappeared, the population decreased, the unemployment increased. The Forum produced proposals for reforms in tax, industrial, agricultural and monetary policies, which allow to realize Russian development potential. Askar Akayev — academician of the Russian Academy of Sciences, the first President of Kyrgyzstan. 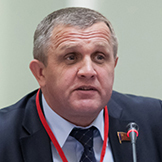 Owner of the machine-building plant «Rostselmash», founder of the Central Council of the movement «Agrarian Russia», President of the Association of agricultural producers «Rosagromash», the developer of roadmap for the of Russian agriculture until 2020. A member of the Bureau of the Central Council of the Union of machine builders of Russia. In 2004 he was awarded the National prize named after Petr Arkadyevich Stolypin in a special nomination «For contribution to the development of agro-industrial complex of Russia». 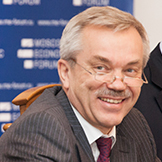 Russian economist, member of the RAS, academician of the International Academy of management, Director of the Institute of Economics of the Russian Academy of Sciences. - Which changes are expected by Russian society and Russian economy? - New course: who and how should begin? - Is the government ready for significant changes in the economy: a radical reduction in the tax burden, a reduction in the cost of loans and energy resources, and the introduction of protective mechanisms for the national industry? - Will there be incentives for regional development: expanding the powers of regional and municipal authorities, strengthening the financial base of regions, territorial development plans, introducing minimum necessary social security standards, creating high-quality jobs in the regions? - What economic policy will stimulate our country to accelerate the transition to a new technological order? How to launch the development of a scientific and technological base? Who should set goals and plan for the development of science? How to increase the implementation of Russian scientific developments in the economy? How to make science attractive for young people? - Will the alienation of Russia and the West increase? Are there chances to prevent the deployment of a new Cold War? - Is there a cure against the triumphalism of the West and the syndrome of the Russian "big brother"? 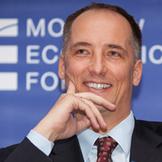 - Who and how should manage the economy of the new order? №1 Conference "Problems towards the interface of the Eurasian Union and the Chinese strategy "Belt and the Way"
- What difficulties do not allow increasing economic cooperation of our countries on a scale worthy of the level of strategic partnership? - What new moments in the advancement of the "Belt and the Way" initiative will appear after the 19th Communist Party of China Congress and the session of the National People's Congress? - What aspects of the "Belt and the Way" initiative primarily meet the national interests of Russia and other participants of the Eurasian Economic Union? - What export opportunities from Russia and other countries of the Eurasian Economic Union opens a rapid growth of welfare and consumption in China during the implementation of the "Chinese Dream" plan? - What are the reasons for building political, military and economic deterrence around Russia and China? 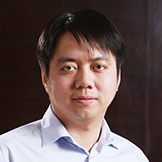 Chen Zhigang, Deputy Chairman of the Union of Chinese Entrepreneurs in Russia, General Director of the Russian-Chinese Business Park, St. Petersburg. №2 Conference "The future of Russian rural areas in the context of agrarian world development"
- Is the priority paradigm of support for agroholdings correct? - What is the practice of developing a cooperative economy in Scandinavian agriculture? - What are the facts of latifundia limitation in Europe? - Rural development: for whom, for what, and who is against? - Changes in national structure of rural areas: whether there are risks? - The Future of Russian agricultural sector: how to disrupt the anchor and step beyond the horizon? Natalia Shagaida, Director of the Agro-Food Policy Center in RANEPA under the RF President. №3 Conference "Global technological challenges and new requirements for the national economy"
- Is Russia ready for response to modern technological challenges? - How does new modern technologies affect the functioning of economic systems? - Is it possible to build a digital economy in Russia without the development of industry? - What priority measures should be taken to ensure that Russia could take a worthy role in the modern industrial landscape? 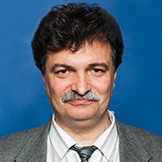 Vladimir Filatov, the Head of the center of Economics Institute in RAS. №4 Conference "New stage of Russian regional development"
- What is the center and region's role in the spatial development of Russia? - How to overcome the metropolitan monocentrism in the spatial development of Russia? - What should be the basis of the federal strategy of spatial development? - Will the change of governors help the economic development of the regions? 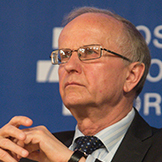 Renald Simonyan, hief Scientific Officer at the Center for European Studies, Institute for International Studies, Moscow State Institute of International Relations. - Is censorship necessary and permissible? Who sets boundaries in culture today: the state, society or creator? Religion and national traditions make their limitations? - Borders and boundaries of freedom. How to deal with manipulation and dangerous information that spreads through the Internet, the media and creative products? Art and the problem of falsifying history. -State policy in the field of development and financing of cultural projects - effective or not? Where is the balance between the interests of the state and freedom of creativity? Igor Ugolnikov, Russian actor, film director, president of the State budgetary cultural institution of Moscow "Moskino"
№5 Conference "Policy of the Central Bank of Russia - how to restore confidence in commercial banks and start investing in the real sector?" - Banking system of Russia: what was constructed during 25 years? - Global financial trends and the Russian financial sector: who is out of step? - What is the Bank of Russia's responsibility for ensuring economic growth? 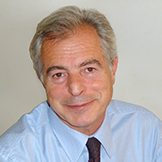 - Small and medium-sized banks: Is there life in the regions? - Lending to economic development: how to ensure accessibility? 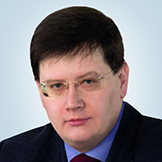 Aleksandr Khandruyev, vice-president of the Russian Banks Association. 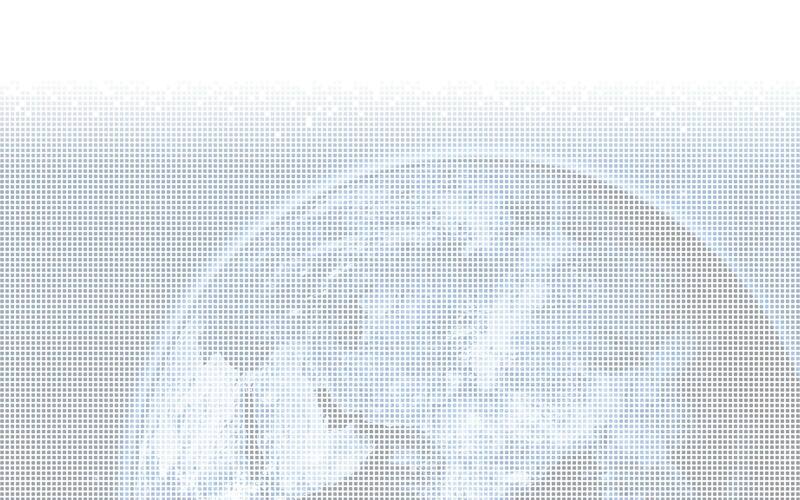 №6 Conference "International trade and WTO: how to ensure fair conditions for participation?" - Russia's withdrawal from the WTO: pros and cons? 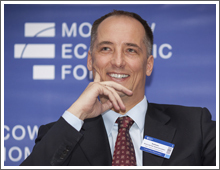 - International WTO alternatives: the way to equal trade or ranting and PR? - Were there any positive effects from WTO membership for Russia? - Why did the WTO not "save" Russia from sanctions? - Successful foreign trade policy: a unique experience of world countries. 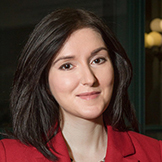 Aleksandra Zhdanovskaya, political scientist, author of the book "Where does Russia go for the IMF, the World Bank and the WTO?" Vladimir Khomyakov, co-chairman of the movement "Narodnyy Sobor"
Javier Echaide, organizer of the Counter-Summit against the WTO in Buenos Aires, assistant professor at the University of Buenos Aires (UBA). №7 Conference "Pension reform in Russia in the context of the budget crisis: macroeconomic causes and consequences"
- Does the pension system have a future? - The reasons for the Pension Fund deficit: the growth of expenses or the fall in income? - Working pensioners: infringement of social rights or violation of economic insurance principles? - Is it really necessary to raise the retirement age? Dmitry Pomazkin, Head of the Development Programs Department at the Non-State Pension Fund "GAZFOND"
№8 Conference "Elections have passed: what to do with the economy?" - How to accelerate the growth of the economy and diversify its structure at the same time? - What does modern economic thought suggest in this respect? 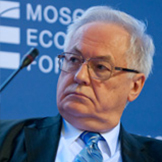 - Why will not quantitative easing help the Russian economy? - What unites and what separates Russian perfectionists and interventionists? - What industrial policy do modern Russia need: support for all or building priorities? - Is coherence and spatial development of Russian territory a priority goal for the future government? Sergey Khestanov, Advisor to the General Director of «Otkrytiye Broker» on macroeconomic issues. - How serious is the attempt of protectionists to undermine the foundations of liberal globalization? - Why the WTO is silent? Whether there is hypocrisy for it is allowed for the strong, and forbidden for the weak? - Can the regionalization of the world economy be viewed as a substitute for globalization? - How to find the best balance between the openness of the domestic market and the support of the national producer? - How should Russia act under these conditions? Sergey Serebryakov, Director of JSC "Petersburg Tractor Plant"
- Social sphere - the sphere of services or human reproduction? - Cultural sphere: the crisis of humanitarian values or the destruction of "national cultural codes"? -	The crisis of the post-World War II global order (so called “the Yalta-Potsdam order”) and what new order will replace it? What main characteristic will this future world order and new global governance system have? Will its creation be chaotic or controllable? -	The new power balance in the world (the change in relation to geo-economic and military-political potentials). The raise of China and possible bi-polar conflict scenario between China and the U.S. The possible formation of the third (independent and non-aligned) global pole as a balancing factor for the future world order. -	The USA and some European powers try aggressively to isolate Russia and restrain its role in the world policy. What are the origins and reasons of the modern Russophobia? Is it irrational or conscious behavior of the West? Which perspectives does Russia have as an active player in the future world order? - What was the main issue to resolve on these elections? - What are the possible solutions of the main issue from different political forces? - What direction of future development was presented by each of the candidates? - What was the mechanism of public discussion - have the main issues become the main subject of discussion? - Which not personal, but meaningful decision did we receive as a result of the elections? - Elections are held and the result is obtained - what are the main directions of the public discussion about the ways of the country's development at this new stage? 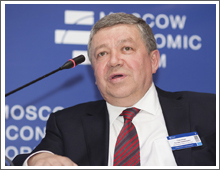 Mikhail Abramov, President of the Expert-Analytical Center "Modernization"
№11 Stolypin Club "Growth Economy: State, Business and Society"
- Can administrative and legal reforms be considered as conditions for economic growth? - What is the relationship between private investment and public policy? - How do technological changes affect economic growth? - Is it possible to transform social policy into the growth driver? 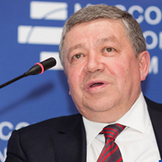 Nikolai Ostarkov, vice-president of "Business Russia"
№12 Conference "Glamour and Poverty of Social Democracy"
- What are the causes of the social-democratic crisis? - Is the Social Democratic ideology in its classical form obsolete and no longer so in demand in modern society? - Why are modern leaders of social democratic parties not popular? - Have traditional partners of Social-Democrats (trade unions, youth, women's and other civil society organizations) turned away from them? Boris Romanov, observer of the Internet magazine "Socialist", Institute "Fair World"
№13 Brainstorm "From stagnation to development - threats, challenges and prospects for the Russian economy and business after the presidential election"
- What should business and population be prepare for in conditions of new old political period? - How will the tax and administrative regime change after the elections? - When the transition from the policy of "fiscal consolidation" and tightening the screws to the development and growth strategy appear? 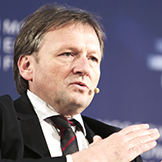 - Will there finally be a denial of monetary authorities from the policy of bleeding the economy? - Risks of isolation - where and how to find financial resources and technologies in conditions of sanctions? While experts predict changes in economic policy after the elections, entrepreneurs are trying to adapt to the existing system of state regulation. Unlike theorists, there are no optimistic expectations in a professional environment. How can Russian traders work in the context of the economic crisis and international sanctions imposed by Western countries? 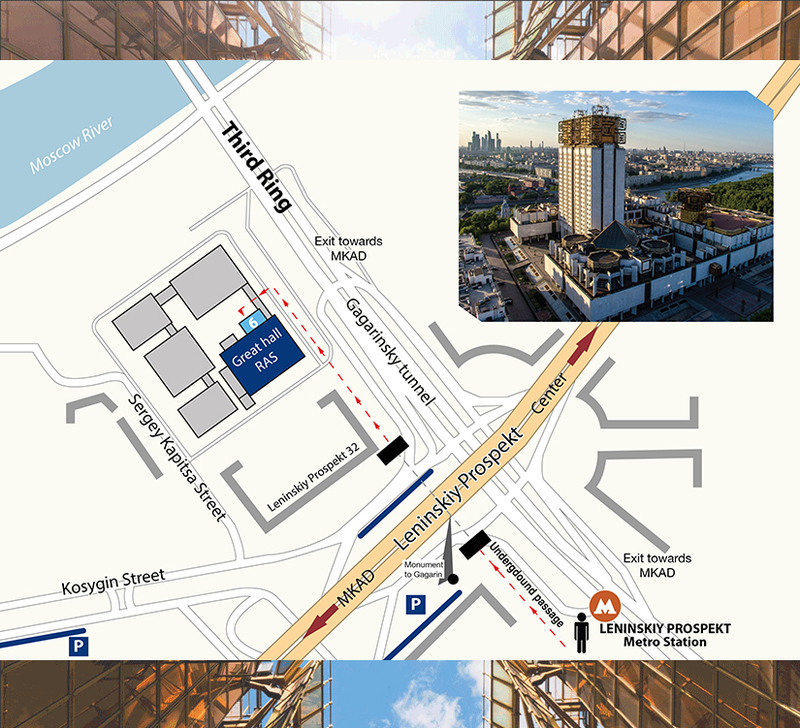 Are there any prospects for small business development in Russia? Debate "New Cold war: to prevent or to prepare?" "Has the war begun or not?" What factors determine this? Is it possible today to weaken international tension? What compromises will the sides have to agree on? - What are the differences between the new cold war and the first Cold War? - Is there a chance to block the arms race? - Does Russia have allies that are close to Russia's position? - Non-standard side moves and flank strikes? Andrey Fefelov, journalist, publicist, editor-in-chief of the TV channel "Day-TV", deputy editor-in-chief of the newspaper "Zavtra"
№14 International conservative club: "Sovereignty, identity, protectionism - a new agenda of world politics"
- Sovereignty against globalism. Globalization requires: refraining from protecting its economy in favor of Transnational Companies, refraining from raising the level of incomes of its able-bodied population in favor of cheap immigrant labor, abandoning an independent foreign policy. How to preserve sovereignty and ensure the priority of national interests in the economy and politics? - National identity. How can Russia, European countries and Europe as a whole preserve their cultural, civilizational and economic identity? - Protectionism in relation to the national economy. How are the countries defending their own producer, opposing the globalist neo-liberal economic model and respecting each other's economic sovereignty, can interact productively and carry out economic cooperation? Bakyt Torobaev, Member of the Parliament of the 6th Kyrgyz Republic convocation, leader of the parliamentary faction "Onuguu-Progress"
The whole sphere of media, social networks, information exchange and communications has turned into a field of endless geopolitical confrontation. - Is this the result of the new formats of information or is it already an essential part of the modern social and political interaction? - Who is interested in a transformation of the information space into an aggressive and manipulative environment? - What is the role of the professional media and leading IT corporations in this process? - Is there a chance, that the new information war comes to an end? What should be done to return a media and an expert discussion into a rational and reasoned direction? - What is the level of staff coverage of the priority sectors? What professions are the youth oriented at? Where do future engineers and workers plan to work after graduation? - How does the the quality of the training of engineering and technical personnel, agrarians, industrial and agricultural workers change? - What are the horizons of enterprise planning and how does this affect the work of higher education and the vocational education system? Are there prerequisites for strategic planning of labor resources? Vyacheslav Shamarin, vice-president of the Voronezh region Chamber of Commerce and Industry, general director of the Exhibition Center. - Is there money in Russia and is it enough to solve the problems of the economy? - Is additional emission needed and what role does the banking discount rate play? - What can the budget get from improving the tax system? - How do customs fees affect budget revenues? - How effective is natural rent? - What impedes the development of production in Russia? - What needs to be done to increase customer demand? - How effective are budget revenues? Georgiy Maltsev, Head of Investment Department Group of Companies "Result"
Vasily Simchera, Vice-President of the Russian Academy of Economic Sciences, Honored Scientist of the Russian Federation. Mikhail Abramov, President of the EAC "Modernization"
- Unity of the noospheric mode of social production, as the unity of the noospheric productive forces and production relations; as the basis for the mechanisms of the growing reproduction of civil quality and the Russian population. - The problem of overcoming the Barrier of Difficulty as a problem of the ascending reproduction of human quality, social intelligence and educational systems in society. - Transition to the noospheric paradigm of strategy and the mechanisms of the ascending reproduction of the Russian population. Boris Bolshakov, Head of the Chair of Sustainable Innovative Development, State University "Dubna"
Nikolay Zakharov, Professor of the State University "Dubna"
Debate "The economic philosophy of the future: liberalism, dirigism, what else?" The global financial and economic crisis of 2008-2009 actualized the discussion on the problems of modern economic theory. - What ideas will prevail in the mainstream of economic thought in the foreseeable future? For the time being, it is only possible to state the death of two great utopias - the "directive plan" and the "free market". "Etatist" concepts of economic development prevailing in Asian countries? President of the EAC "Modernization"
Participation is fee-based. Registration for the MEF-2018 opens on 01 february 2018 (for participation in events on 3–4 April). To participate you must fill out this registration form and receive a confirmation to Your e-mail. Entrance to the registration area is allowed upon presentation of a participation confirmation or a badge. Please note that the International Committee of the Forum reserves the right to refuse participation to any person without explanation.